Silver Sneakers is a fun, energizing program that helps oler adults take greater control of their health by encouraging physical activity. Health plans Humana and Windsor offer this program to people who are eligible for Medicare or to group retirees. 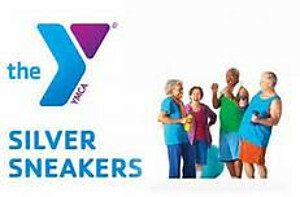 Silver Sneakers provides a free Y membership for qualified individuals. Stop by the Y front desk with your Humana or Windsor insurance card or Silver Sneakers # to see if you qualify.